Only a few steps from Rok's Square is on sale a renovated 2 bedroom apartment in a 3rd floor. The apartment measures 53.7m2 (of which 10.4m2 are terraces). It has it's own terrace, overlooking the greenery, which is a rarity in Piran and represents a great opportunity. The terrace offers plenty of privacy and the surroundings are very quiet. The apartment conists of a hall, a bathroom, a kitchen, a living room and a bedroom. From the living room and kitchen you have the exit on the terrace. The apartment is partly mansard, and partly has high ceilings, which conjures up a special atmosphere. Panoramic windows make it extremely bright and comfortable. Heating is on the air conditioner. Hello! 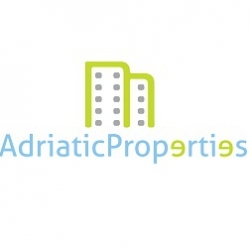 I am interested in this property at this link http://dom-slovenia.ru/index.php/real-estate/181309-sale-apartment-2-bedroom-coast-and-karst-piran-center. Greetings.